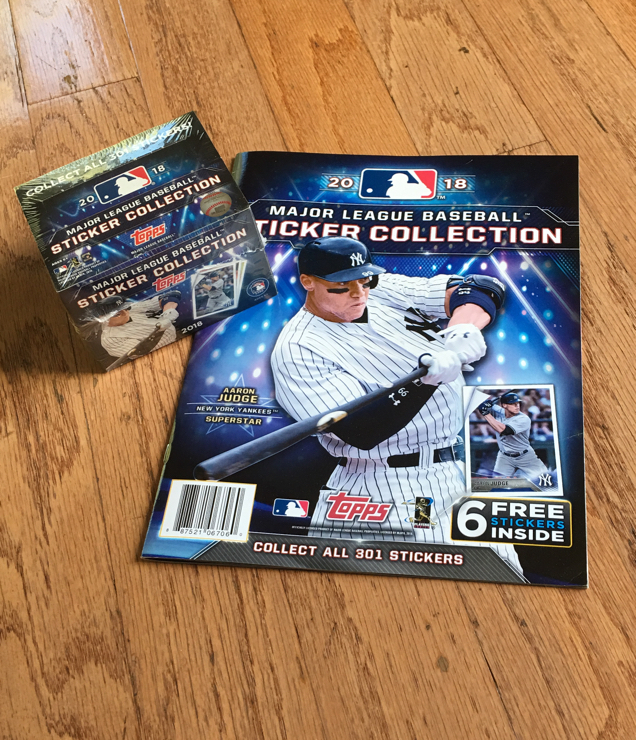 The components of the collection include the sticker album and sticker packs. Although there are other sticker collections that can be completed without purchasing the album, this is not one of them. The album is $2 so this is not a cost issue, but the album includes 6 free stickers and those stickers CANNOT be found in packs. This is why you must have the album to complete the set. 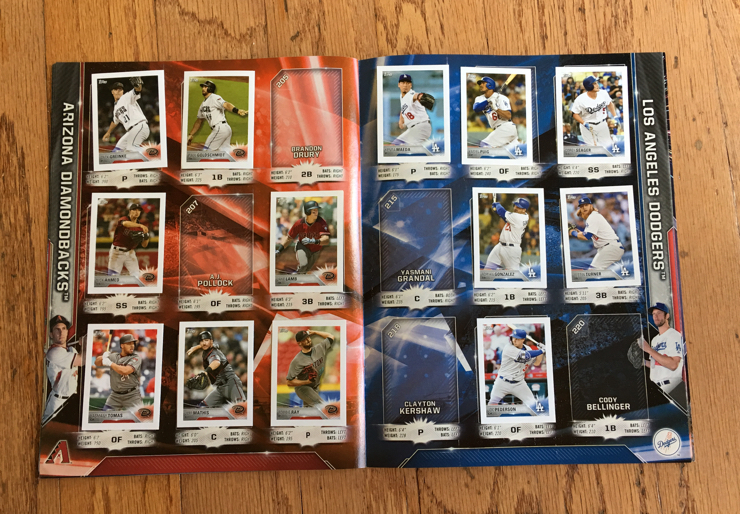 In the album is a team page for every MLB team. 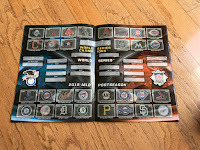 Each team requires 9 stickers to fill the page. 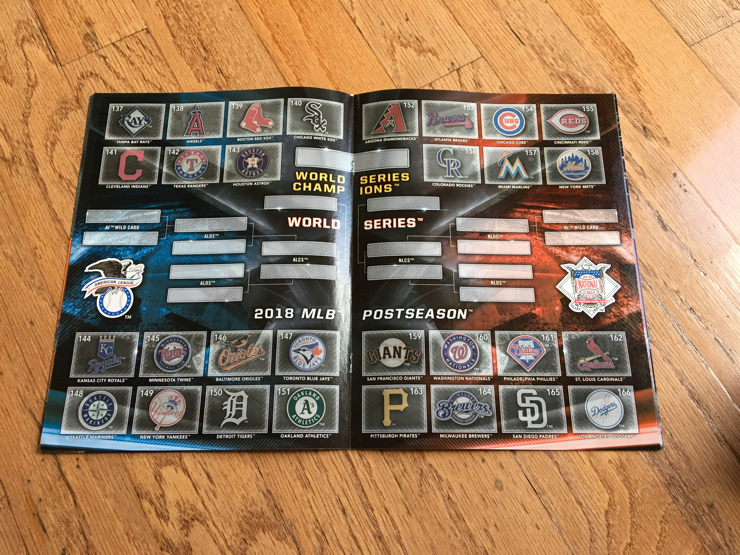 In the center of the album is a place for team logo stickers and an empty bracket for the 2018 Playoff Postseason that can be filled in as teams progress from the Wild Card playoffs all the way to the World Series. Sticker packs include 8 stickers per pack. 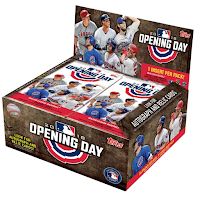 Packs can purchased individually or in sealed boxes that contain 50 packs. So, that’s 400 stickers per box. 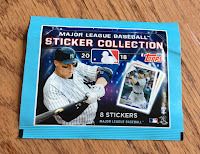 If you are looking to reduce the amount of sticker packs you need to purchase and can afford a larger upfront purchase, I would suggest buying a sealed box of 50 packs. 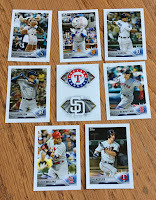 There is nothing wrong with purchasing a few packs at time, but the sealed box I opened contained an entire collection. 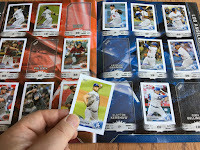 While I can’t guarantee that every sealed box contains a set, it’s a good bet that they do. If you don’t see a sealed box on the shelf of your store, either ask the manager if they can reserve one for you the next time they take delivery, go to your local card shop to see if they have one, or find any online retailer that carries the collection, like Topps.com. Once you have the box in hand you can integrate packs into a weekly allowance, give them as a reward for a job well done, let your child buy packs from you based on what your child wants to spend that week, or simply have fun ripping into them whenever the impulse hits. The basics of completing any album apply. 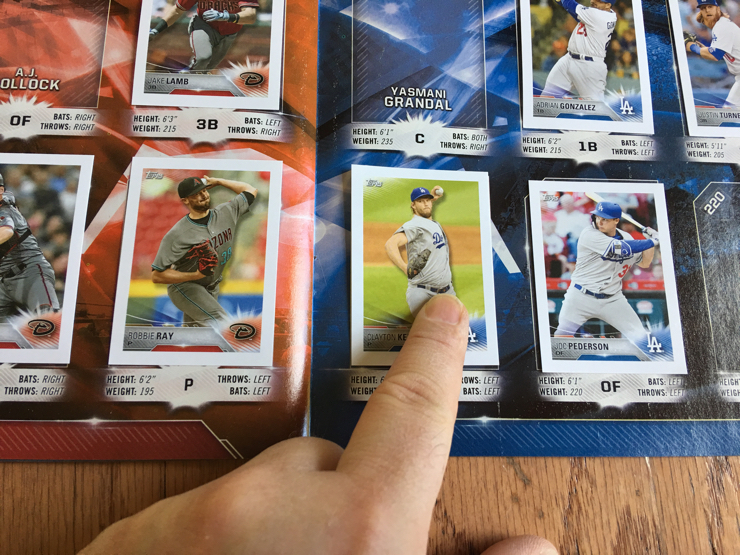 When you pull a new sticker out of a pack, you either check the name of the player or the sticker number on the back. 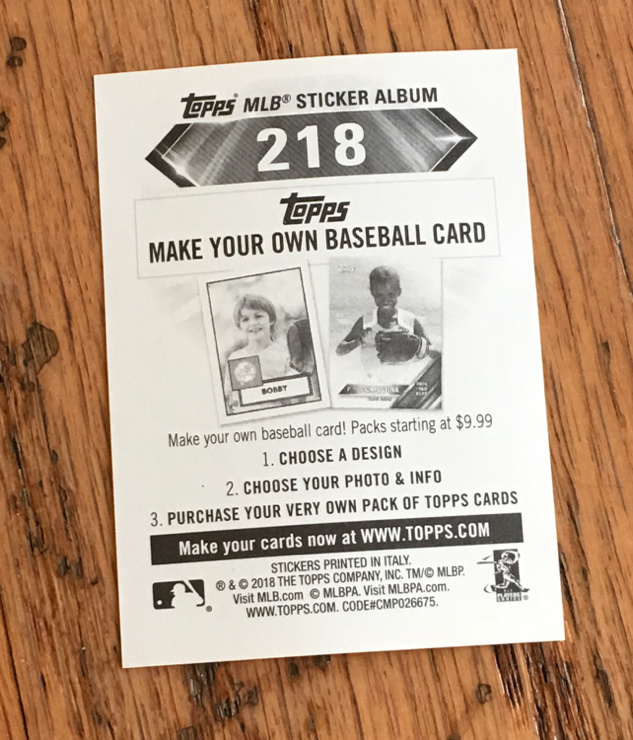 The album is in numerical order, so using the sticker number to find the correct page can be faster than flipping through trying to locate the team page. 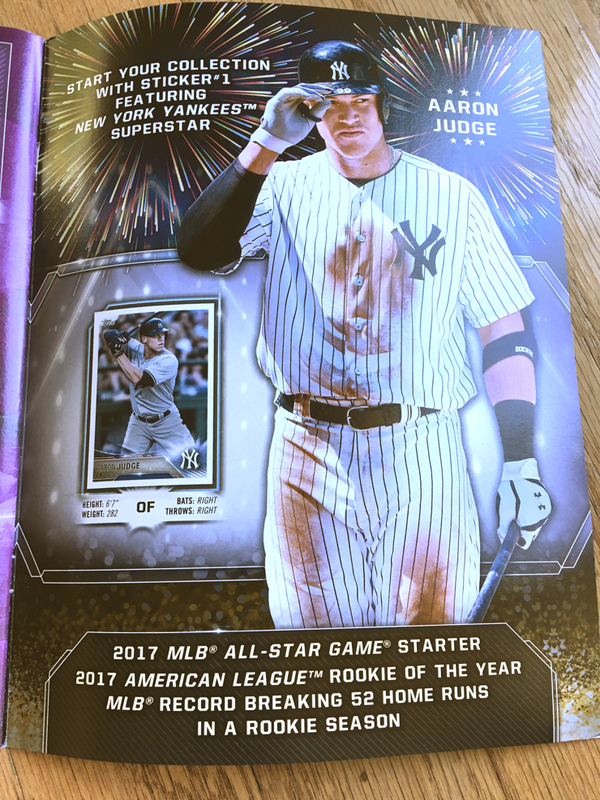 The exceptions to this are Aaron Judge, sticker #1, who has a page dedicated to just him at the back of the album, and Aaron Sanchez, sticker #132, who is placed in the last spot on the Blue Jays page, which would have been sticker #37. 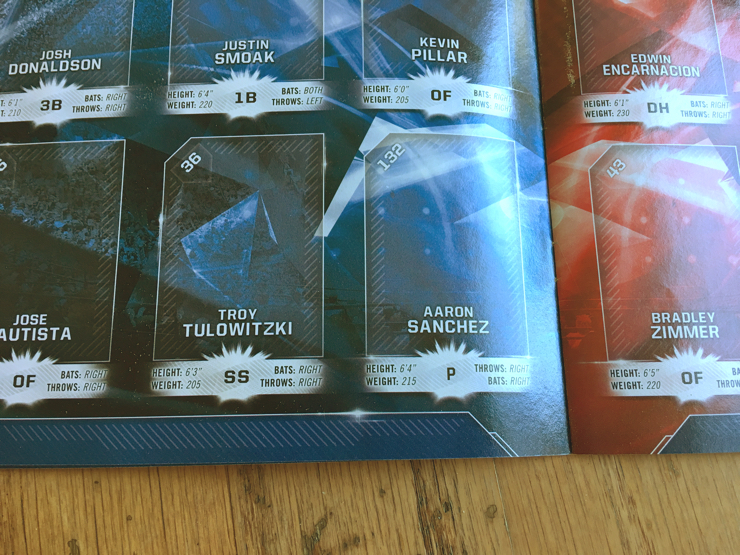 Both Aarons, Judge and Sanchez, are included in the 6 free stickers so this shouldn’t be noticeable once those stickers are placed. 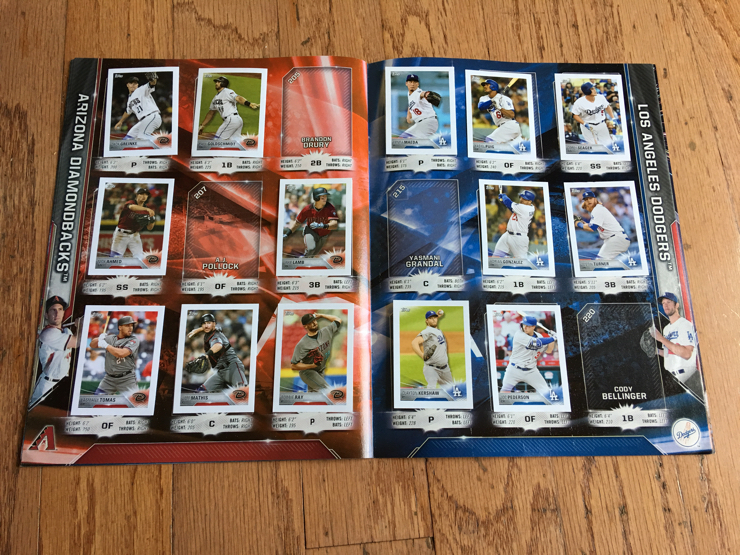 So while collecting the 301 stickers can be a lot of fun and I would encourage any parent to purchase the 2018 Topps MLB Sticker Collection, I would be remiss if I didn’t point out the one area in the sticker album that I’m fine with as a collector, but as a parent, from an execution level, is a miss. 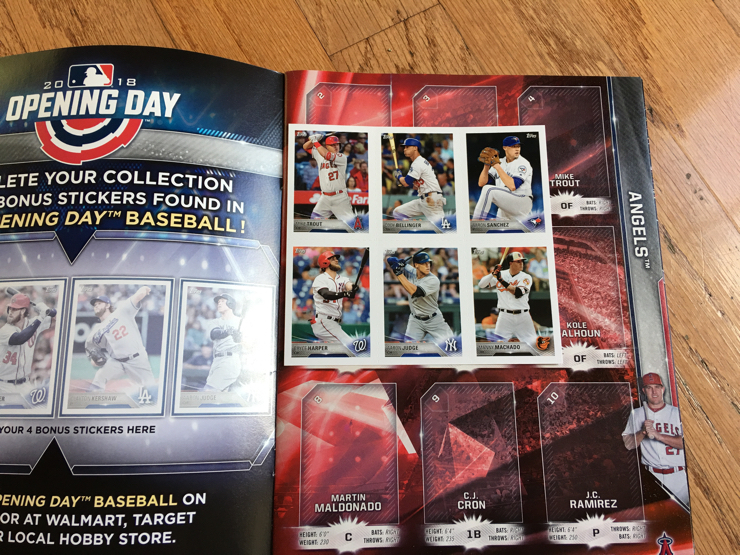 The very front, inside page of the album is an area to add 4 bonus stickers to your collection. To be clear, these are not part of the 301 stickers, and they also cannot be found in any sticker packs. 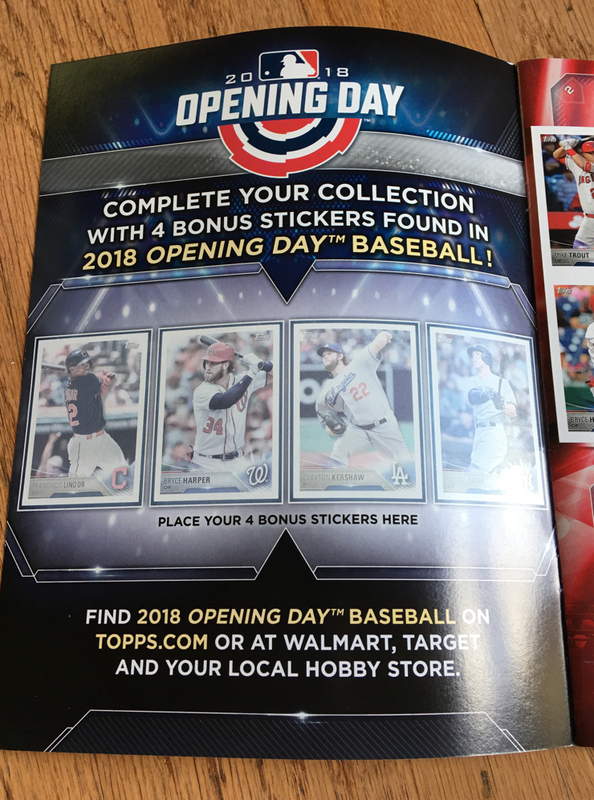 These stickers can ONLY be found in packs of 2018 Topps Opening Day Baseball Cards. 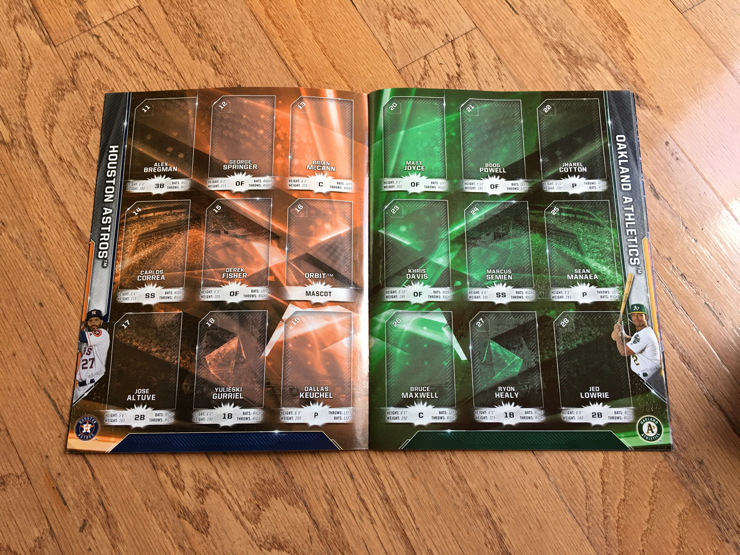 Do I have a problem with the concept of Bonus Stickers after collecting the base set of 301 stickers? Not at all. 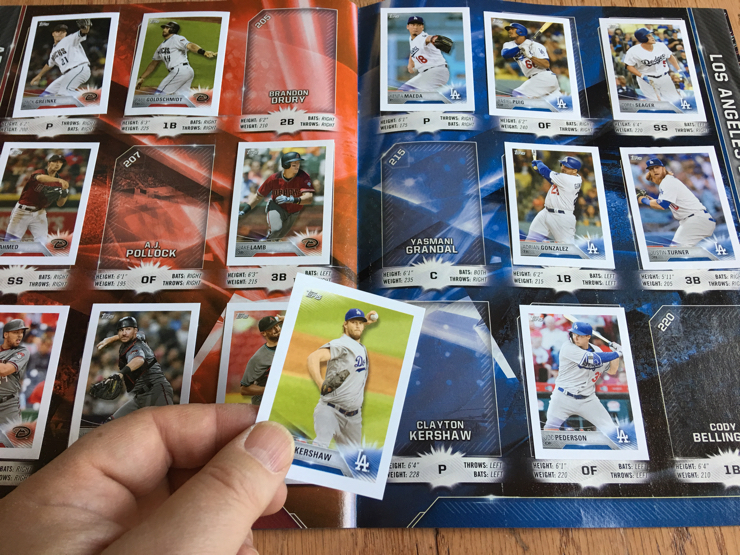 Almost every set out there now has an insert set in addition to a base set, so bonus stickers are kind of the same thing. 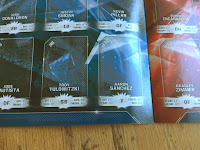 The first issue, as a parent, I have is the album clearly states “complete your collection” with the 4 bonus stickers. 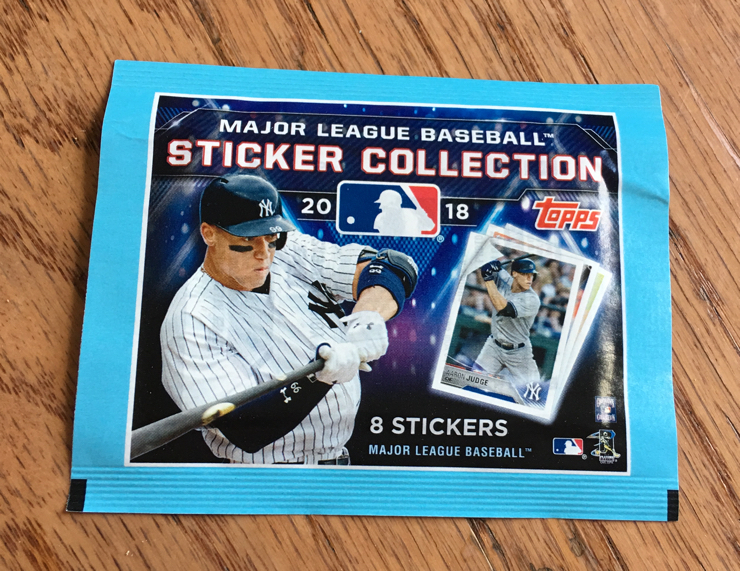 If I don’t want to go down the path of having to chase these Bonus Stickers I’m now forced to convince my child their collection is complete at 301 stickers. 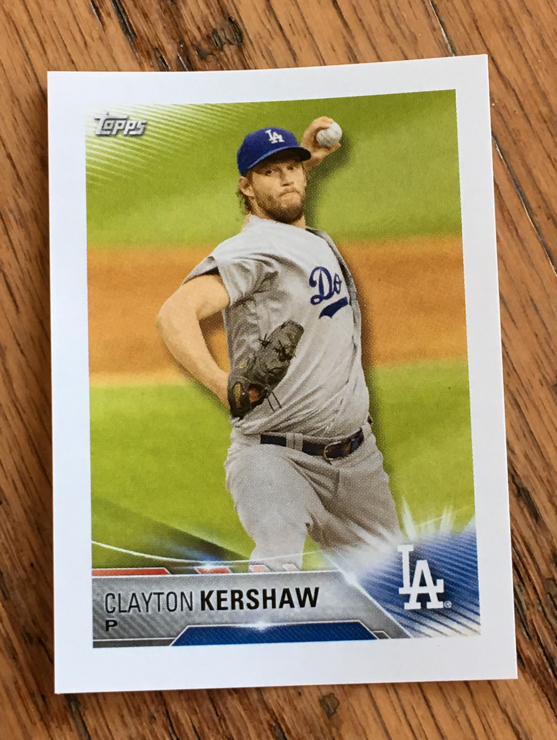 In the future I wish Topps would state these are Bonus Stickers and leave it at that. Semantics, yes, but an important point. Do I have a problem with the concept of having to purchase another product to find these stickers? Not at all. A good portion of my work includes cross brand promotion. It would be hypocritical of me to find fault in that. 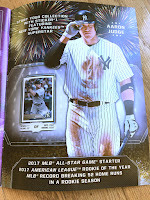 In addition, Topps Opening Day Baseball Cards have consistently been a wonderful set for kids and beginning collectors. 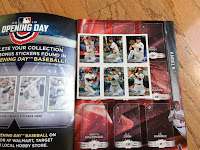 I would encourage you to get some packs of Topps Opening Day too simply because it is a great product. 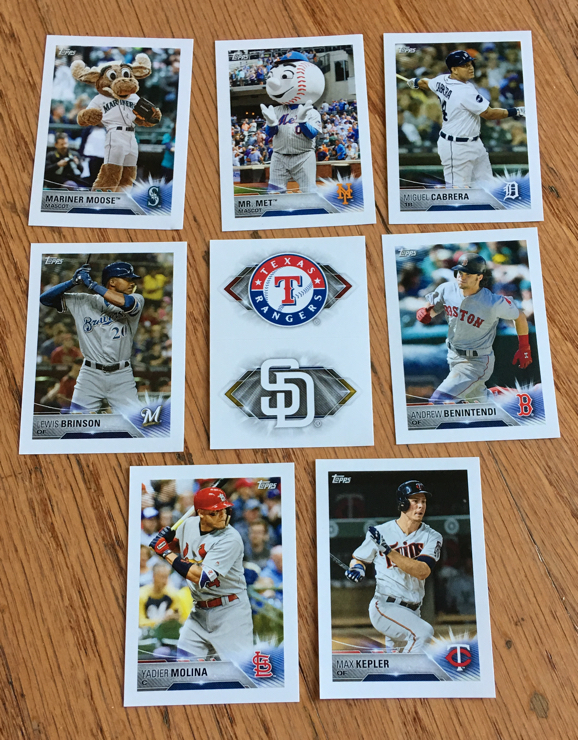 The other issue I have, as a parent, with finding these bonus stickers in packs of 2018 Topps Opening Day is the odds. 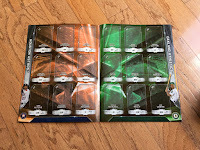 Pulling just one of them is about 1 in 288 packs. This doesn’t come close to my cost and ease of completing threshold. 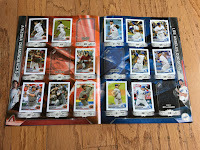 Had Topps set odds for these stickers at perhaps 1 in 5 packs, or even 1 in 10 packs, this would not be much of an issue. 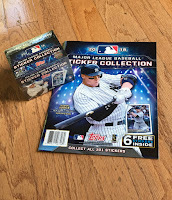 It also would have provided a two way cross promotion, with the ability to encourage collectors of Opening Day to try the MLB Sticker Collection. So what is a parent to do if your child feels they must have these 4 bonus stickers? Some local card shops have individual stickers for sale. 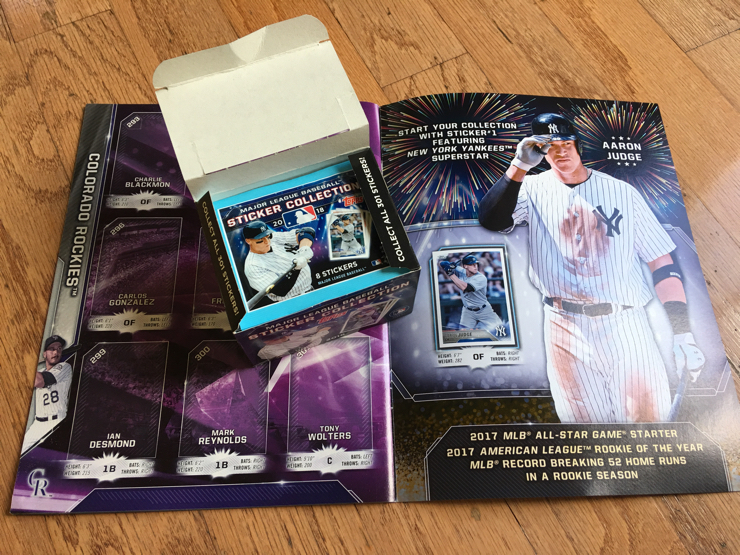 As a service they open packs and sell off singles so collectors can finish their set. I know Burbank Sportscards does that here locally. Another method is to search eBay. You can use this link to find those stickers, or search for individual stickers. Fair warning, because these are difficult to find, these bonus stickers will come at a premium. 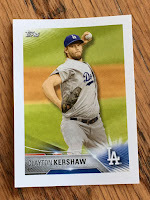 Pointing out the issue with the Bonus Stickers was not meant to throw the baby out with the bathwater, after all it is 4 out of a 305 total stickers. 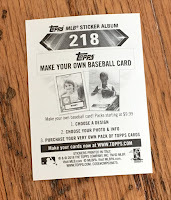 In the scheme of things it is a minor issue for one of the best sticker experiences to happen in the sports collecting world in a while, but one, as a parent, I felt you should be made aware. For some kids it probably won’t become an issue. 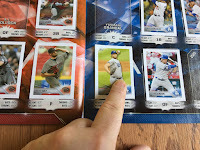 If you can, share in the experience of putting the sticker collection together with your child. It can be a fun time for the whole family. I remember my mom buying me an album back in the early 80's. She'd buy me packs from time to time or let me use my allowance to purchase packs. If I had children, I'd hope they find these as interesting as I once did.